I don’t think I’ve ever given a public airing to my toast ‘rant’. You see, I love toast, but it’s got to be ‘just right’ . 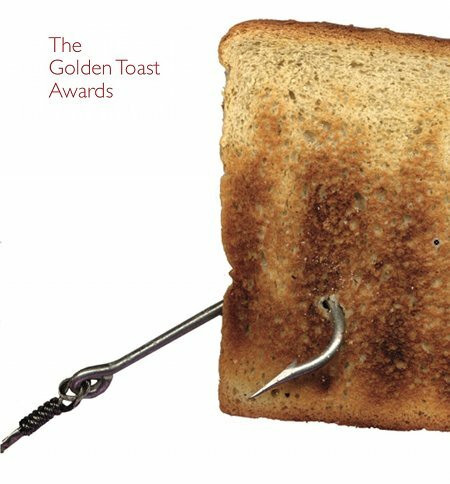 . . it can be white or brown, I don’t mind, but as self proclaimed ‘Toast Master’, white bread, toasted golden brown, would probably get my highest marks. Over the last few years, lack of international attention to this most important of breakfast ingredients has become apparent because, my wife and I are unashamed ‘foodies’ travelling miles in search of culinary excellence. ‘Spume of lark’s tongues on a bed of morning plucked elves’ toes’? . . . Why not? ‘Lightly broiled vole’s liver garnished with a fricassee of dandelion petals’? . . . Yes, certainly! But, what we have found is that no matter how many Michelin stars an establishment boasts, no matter how controversial a chef ’s behaviour, come breakfast time, that simple essential which guarantees a good start to the day will be ruined! lacklustre slices he has just placed before me. “Yes,” I say, “I would like my toast with my cooked breakfast. 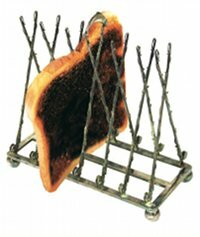 These pallid slices are already cold and frankly, they have not had an intimate relationship with your toaster!” He removes the offending slices and bristles away to the kitchen. Eventually, the eggs and bacon arrive but what now occupies the toast rack looks like a souvenir from Hiroshima! At Marfield House in Corey, Co. Wexford, they have the good sense not to make the clientele’s toast. Every breakfast table boasts its own toaster and you are presented with a basket of fresh brown and white bread so fussy buggers like me can toast away to their heart’s content! Having scrutinised the local hostelry guide, we decided to stay at the Devonshire Country House Hotel and it turned out to be a great find: comfortable rooms, super food and a wine list that would be hard to beat anywhere in the UK. My wife even booked in for a facial and returned refreshed and looking ten years younger! However, breakfast had its usual toast ‘fault’. The barely warm slices were delivered as we poured our first cup of tea, but they had something about them that I couldn’t quite fathom. Closer inspection revealed a variation on the ‘barely brown’ category that one has come to expect. These slices were toasted all around the edges but not in the middle. I was so occupied trying to work out how this had been achieved that I forgot to complain! My eggs and bacon were spectacular and my wife proclaimed her haddock to be excellent! The Game Fair was as we have come to expect. The two-hour queue to get in, the fifteen-minute walk from the car park and almost more dogs than people! I suppose one should be thankful that toilets are provided for the human attendees! Treading carefully down towards Fisherman’s Row, past the helicopter rides, the all-terrain vehicle demos and the self-assembly jungle huts which instantly turn your back garden into a safari park, we came upon Paul Morgan doing a roaring trade on the Coch-y- Bonddu stand. Next door, our ebullient Waterlog Editor was dispensing wit, charm and the latest offering from Medlar: Great Pike Stories by Fred Buller. I so enjoyed the first chapter that I’ve decided to save the remainder for those long winter evenings. It’s great to see Fred in print again. As for the Game Fair, I think our next visit will be when it returns to the South. We may still have to queue to get in, we may still have to park miles from the Fair, but at least we’ll be able to start from home where, I can assure you, the toast is excellent! Previous Previous post: Why Do They Bite the Bullet?